WASHINGTON (Sputnik) - The US-China tariff truce includes a commitment by Beijing to immediately lift 40 percent tariffs on US automobiles, National Economic Council Director Larry Kudlow told reporters in a conference call on Monday. "Yes, that is my understanding, I believe that commitment was made," Kudlow said when asked whether China had made a commitment to lift 40-percent tariffs on US vehicles. "Hopefully, we'll see some immediate action there." The 90-day timetable for the United States and China to conclude a trade truce will begin on December 1, Kudlow said. US Trade Representative Robert Lighthizer will be the lead negotiator in talks with China, he added. The schedule of meetings between US and Chinese officials has yet to be set but negotiations will move very fast, Kudlow said. Kudlow noted that Chinese Vice Premier Liu He has said that China would immediately begin lifting tariffs and non-tariff barriers, including its 40 percent duties on US automobiles. "We expect those tariffs to fall to zero," he said. China has also agreed to address structural issues regarding cyber security and cyber hacking, Kudlow said. Kudlow said the topic of China’s “predatory” economic activities like its Belt and Road initiatives have come up in trade talks, adding that those conversations would continue. On Saturday, US President Donald Trump and Chinese President Xi Jinping called for a truce in their escalating trade war after the two met on the sidelines of the G20 summit in Argentina. Trump agreed to suspend plans to raise tariffs on $200 billion worth of Chinese products from 10 percent to 25 percent starting from January 1, 2019, in order to pave the way for trade talks with Beijing, but warned that if the negotiations do not succeed within three months, the tariffs will be hiked as planned. 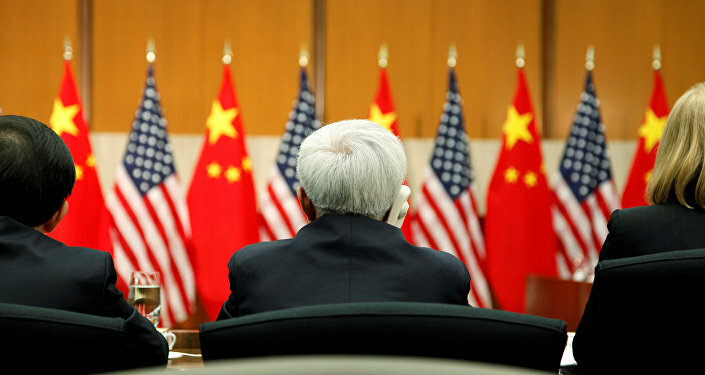 G20 Summit: Is the US Charting a Collision Course with China?